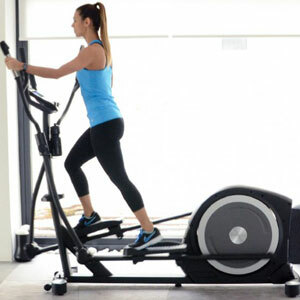 Cross trainers are a great choice in workout equipment for those that want to target different muscles groups, but don’t want a large home gym system. 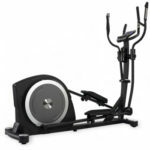 These machines can offer great motions and workouts for leg muscles, via tough resistance levels and a good belt drive. Users also have the option of working their arms with the handlebars. A well proportioned machine with all the right features could even help the core, glutes, shoulders and other key areas. What should we look for when choosing between top rated cross trainers. A good workout is clearly the ideal starting point when choosing one of these elliptical machines for the home. 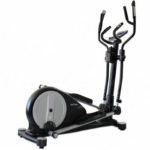 Moving handlebars, tough resistance levels and pre-programmed workouts all help to provide the best full body workout. Some will also provide specific HIIT or body fat modes. Those looking for an especially tough workout will also need to look at the build of the machine. The other important consideration here is adaptability. If this is a machine for the whole household, everyone needs to use it to their personal specification. This means user profiles, adjustable stride lengths and a range of workout options. Finally, you might want to think about comfort features like media shelves, music systems and bottle holders. 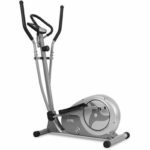 JTX is one of more popular names in fitness machines, and have a number of different top rated cross trainers to choose from. 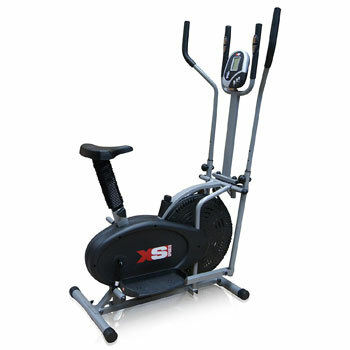 The first that we will look at is this Strider-X7 Home Cross Trainer. This looks like a large machine that is best used in a garage or basement than an apartment. There are casters on the front for transportation in and out of the space and floor pads for uneven surfaces. Still, there is plenty here to ensure that user enjoy their workout down there, with lots of rewards for hard work. Users can choose between 21 programmes and 16 resistance levels to meet their fitness goals. All data appears on the colour screen console, including pulse data from the wireless chest strap. Users can also create a set of personalised workouts so it is easier to get started and continue a regime. This should inspire those that are new to this way of working out. There is the sense with this Viavito model that the designers focused a little more on the software available than the hardware. There are some elements to the physical design and components that are limited compared to other machines here. The flywheel is much lighter, at 9kg, and the stride length goes no further than 15’’. It does however have 32 levels of magnetic resistance and a 120kg user weight allowance. 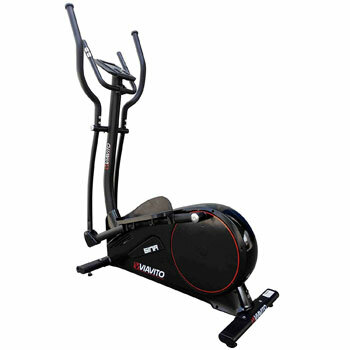 The appeal with this Viavito Sina Elliptical Cross Trainer comes from the range of programmes and profiles. Users can select between 20 routines to help diversify a weekly regime. They can also create up to 4 user profiles to save settings and track personal data. That data appears on a dial colour LCD display, which has the added benefit of metric/imperial conversions. There are also pulse sensors in the handlebars for more accurate heart rate data during the workout. The phrase “German quality” still holds a lot of weight when discussing the benefits of any piece of machinery. There are high expectations on the strength, capabilities and efficiency. Here Frontier have a elliptical machine with an impressive motion for effective cross training workouts. There is a heavy 25kg flywheel for a smoother motion, an adjustable stride from 17 to 21 inches and a weight allowance of 136kg. It even looks good in a modern apartment with the slightly industrial look and orange wheel. Users can take advantage of all these elements via a series of 16 exercise programmes. This includes 4 different heart rate control options, a body fat setting and the option of a manual program. Data from those settings appears on a colour LCD display. There are also nice details across the machine from the anti-slip pedals and bottle holder to the transport wheels and floor level adjusters. Compared with the “German” model above, this JLL “Home Luxury” model is quite gentle. The flywheel is much lighter, at just 5.5kg, and there are only 8 levels of resistance. The addition of the 100kg weight allowance and tablet holder show that this is better used as an entry-level model for a slower pace. There are also transport wheels so users can wheel it into place as needed. There isn’t much room to progress, but newcomers can still get a decent workout out of this JLL CT300 Home Luxury Elliptical Cross Trainer. That is because there are some interesting features to ensure that users enjoy their session as best they can. Both the flywheel and handlebars are dual action, which diversifies the movement. Users can therefore keep their arms still and pedal backwards. There is also a helpful body fat reading on the 9-function monitor and plenty of padding on the handlebars. 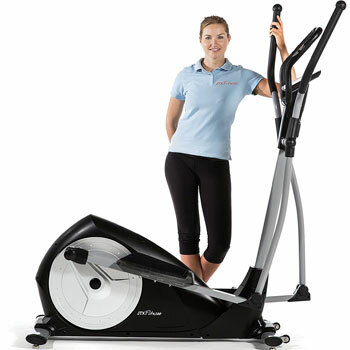 BodyMax is another name that fitness fans turn to with confidence whenever they want a top machine for the home. Here the company wanted to create what they call a budget model, one that is more accessible to a wider range of users. There is nothing particularly high-end in the specification or features that would warrant a high price tag. There are 15 programmes, a 10kg flywheel and a basic design. Still, there are enough features and details to make sure that users can get a good workout, without the need for fancy apps and settings. The handlebars offer a good upper body workout with the added benefit of the heart rate sensors. Buyers have to pay extra to get a chest strap. The oversized footplates work on a 2 way system for backwards and forwards motions. There is also a 120kg weight allowance and transport wheels. There is a lot about the sales pitches for this JTX Zenith Gym Cross Trainer that make it sound a little more intense than it really is. The handlebars are “bio-mechanic” rather than ergonomic, and there is a focus on the gym-level design and advanced Bluetooth connections. The descriptions about the width between your feet – Q-Factor – and the grips may be a little much. But, that does show attention to detail. This idea of a gym-ready model is apt, as it is pretty strong and smart. There is a decent 17kg flywheel on board, plenty of workout options, a music system and that connectivity to fitness apps. This should allow users to adapt the workout to personal needs, beyond the basic adjustments in the frame and pedals. Another benefit with this model is the 21 inch stride length. This long length should help larger and more experienced users work out with ease. 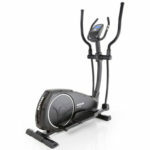 Most of the features for this Kettler Rivo P Advantage Elliptical Cross Trainer suggest that this is another model that is pretty middle of the road when it comes to the functions and features. There are 16 levels of magnetic resistance, a 14kg flywheel a 16’’ stride length on the footplates. This is all pretty average and adequate for many first time users. There is also a decent display with the backlit console and data readouts. The main focus with this machine seems to be the impact on heart rate. Two of the programmes in the computer are focused on HRC. There are pulse sensors in the handlebars to create a fairly accurate reading, with the option of a chest strap for an extra cost. There is also a helpful alarm on the machine that sounds when users exceed the upper heart rate limit. 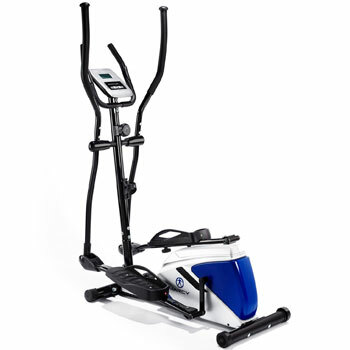 The makers of this Ultrasport XT-Trainer wanted to create a top rated cross trainer that really could offer the tough full-body workout that users need. 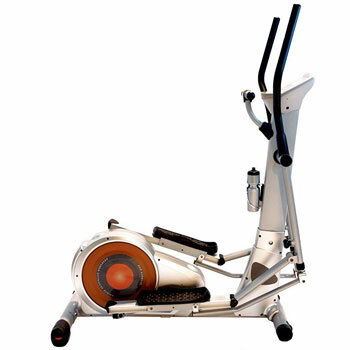 This machine is designed to work different muscle groups thanks to the movement in the handlebar and the 2-way motion of the flywheel. This should let users tone hips, shoulders as well as leg and arm muscles. Users of different sizes and abilities can work through 8 resistance levels and 12 programmes to get the most from the workout. There is also the added benefit of the water bottle – rather than just the bottle holder – and a clear console for all the data. This data includes the time and distance of the workout, as well as the user’s speed and calories burned. Hand pulse sensors also offer heart rate data. 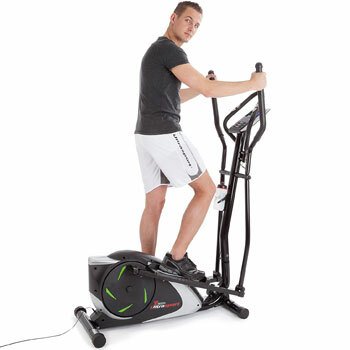 Some of these top rated cross trainers are better suited for apartment living than others. Some are large, heavy pieces of machinery that need a lot of space. Others are more manageable, like this model from Marcy Azure. There isn’t much to this Marcy Azure EL1016 Elliptical Cross Trainer in regard to the frame or casing. This offer the advantages of a more portable design, and a step-through frame for ease of access. The added bonus of the battery powered console means that it can go in any suitable space, without the need for an outlet. It may seem like a weaker, simpler model, but the metal frame has an 110kg weight allowance and there are still 8 resistance levels on the 4kg flywheel. Novice users can still test themselves and track their progress, while also catching up on TV via the tablet shelf. It has an accessible quality that some larger models, like the one below, can’t offer. 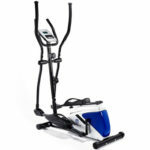 The ProForm Cardio HIIT Elliptical Cross Trainer is something a little more unusual. So far, there has been a standard look to these machines. 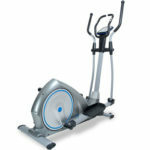 The flywheel sits at the back, a little like an exercise bike, with a standard frame and console at the top. This machine is an upright model that looks more at home in the gym than an apartment. 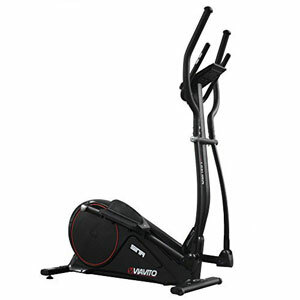 That upright design means a 10 inch vertical and 5 inch elliptical movement for a greater calorie burn. This might be too extreme for newcomers but a nice change of pace for gym-goers. Everything about the specification and look suggests that this is for those experienced users that need a new challenge. The main focus here is HIIT. Users can choose from 32 programmes and 24 levels of resistance. This is a silent magnetic resistance for extra appeal. Users should appreciate the design of the console, with the one-touch controls, as well as the Bluetooth connectivity. This final model in this trio of JTX cross trainers does things a little differently. The stride length is not nearly as long, but it is adjustable from 16 to 20 inches. This leads to a more compact, but more adaptable machine for smaller spaces. The company insists that most users should still be able to create a faster pace on the longest length. Some may disagree. Other adaptable features come with the resistance and the incline. The latter is not seen in all machines, and adds to the difficulty of the workout. There are 16 levels of electromagnetic resistance from the 17kg flywheel. This JTX TRI-FIT Incline Cross Trainer shares many of the top training features as the Zenith for a more interesting experience. Users can tap into fun apps via the Bluetooth connection, plug into a playlist via the MP3 connection and try a series of 12 routines. Choosing the best elliptical trainer for your home. There is a lot to consider here when browsing the specs for these top rated cross trainers. 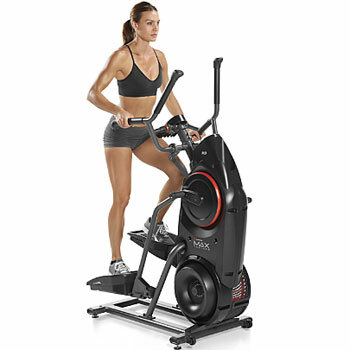 Some of these machines are ideal for those with more experience and larger fitness goals. This is because of their long stride lengths, tougher resistance levels and interesting programmes. Then there are those best suited for the more casual user, with the focus on ease of use, compact designs and music systems. In between are some of the oddities with specific selling points, like Bluetooth connectivity, weird programmes or other features. 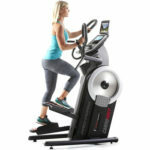 The best choice is the one that can help you toward you personal fitness goals with all the right hardware and software. You don’t want it be too complicated or tough on the muscles that you don’t use it. At the same time, you don’t want to be so simple that it doesn’t push you hard enough. Take your time to compare the different models to make the right decision.